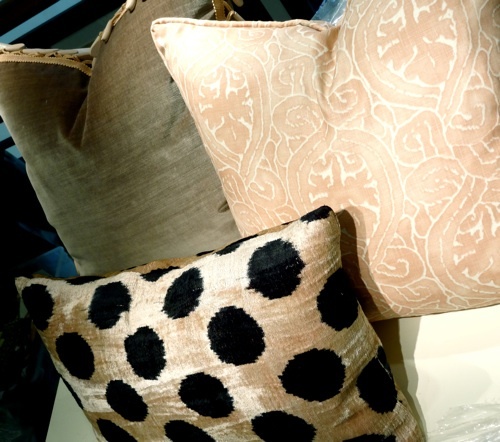 We’re getting really fired up about the Chestnut Hill designer show house, which is open to the public THIS weekend! Lisa, Marty, and Elish have been working fast and furious to make sure this show house is nothing short of fabulous! The house is a modern farmhouse, so Lisa says she was inspired to go with earthy colors and natural fibers. 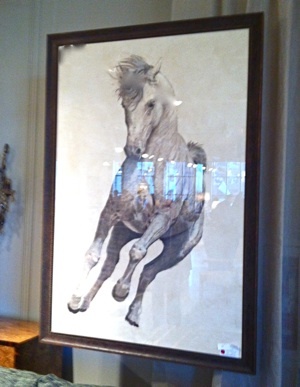 She was also uber inspired by this beautiful Kitty Williams horse painting. Although this isn’t the best photo, it’s easy to tell why she fell in love with it! The blush accents add a little extra life to the beautiful neutral mix. 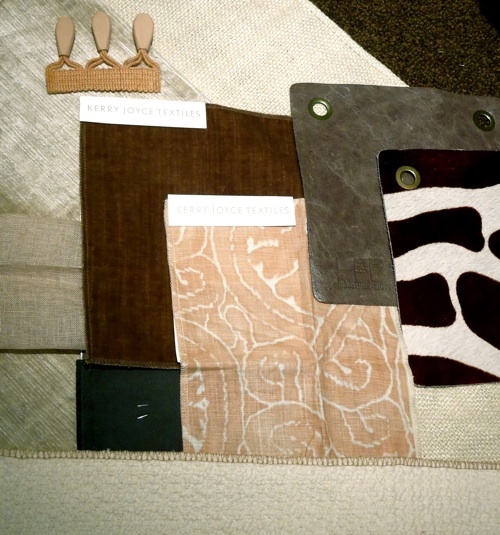 And the materials they’ve been picking out are absolutely amazing… We are all so excited to see how this comes together! The Preview Party, which is your first chance to see the house completed, is this Thursday, October 25. We have tickets for sale at the store, or you can get them from the Craft Center! They are $50 a piece. Save the Date for Barry Dixon!